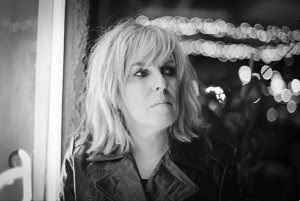 If you are a paid up subscriber to the theory that CAR WHEELS ON A GRAVEL ROAD is by far the finest segment of the Lucinda Williams back catalogue then standby for a release that will at least challenge your perception. With a vocal acumen that gets richer in age and an appetite to re-discover her southern roots, DOWN WHERE THE SPIRIT MEETS THE BONE sees Lucinda capture the mood of the land, moment and feeling to embark on a prolific bout of stunning song writing and stellar music production. This 20 track collection signals a return of the classic double album and, while certainly not for the meek, submerging yourself into this golden seam of country soul will leave a prolonged essence of gratifying satisfaction. Lucinda, her husband Tom Overby and Greg Leisz collaborated on the production duties and emerged from their LA studio with an album dressed for classic recognition and an inaugural release on their appropriately named Highway 20 Records label. This road, so integral to Lucinda’s Mississippi upbringing, has acted as a conductive influence in much the same vein as Rosanne Cash’s recent masterpiece delved beyond the tales of the south. The drifting soulful tones of Lucinda mark a difference between the albums, although both excel on sound and production. The enlisting of Tony Joe White to play guitar on a handful of tracks and Elvis Costello’s rhythm section (Davy Faragher and Pete Thomas) on a significant number of others has enhanced the sound. Lucinda finds her superlative writing groove by directly penning 18 of the tracks, choosing a solitary cover in JJ Cale’s 10 minute epic ‘Magnolia’ and re-working one of her father’s poems ‘Compassion’. The album draws its title from a line in this piece and reveals appropriately where this record takes you with repeated listens. Finding time in your busy lives to listen intently to all 103 minutes of both discs in one sitting may be tough but essential at least once or twice and it’s nigh on impossible to hone in on a stand out number. However no review would be complete without earmarking those tracks having a profound early effect and possibly may serve as focal points. ‘West Memphis’ recounts a miscarriage of justice in a resigned sort of way awash with sultry grooves and a languid backbeat. ‘Burning Bridges’ possesses the album’s knockout melody and is definitely a radio-friendly track, although in my book radio would be improved by playing any of the 20 songs. On the subject of airplay, the mainstream won’t touch ‘This Old Heartache’ but it’s tough to think of a better pure country song put to record this year. On an album almost entirely the vocal domain of Lucinda, Jakob Dylan, fast becoming a go to guest vocalist, makes an appearance on ‘It’s Gonna Rain’. Several enlightening online interviews with Lucinda have proved invaluable sources in adding a background flavour to the record and reading them while listening to the songs evolves into a dual pleasure. ‘Wrong Number’ proves to be a very personal sad number and the spiritual pairing of ‘Everything but the Truth’ and ‘Something This Wicked Comes’ reveal a fascination with both sides of the religious divide. If you’re searching for a track to melt you away, ‘Temporary Nature (Of Any Precious Thing’) will seductively oblige, while ‘Walk On’ and ‘Protection’ possess an upbeat appeal to induce a more active feeling. Apologies to anyone already smitten with this album and crying out for a reference to an omitted track. On the other hand, delving into the record via any of the 20 tracks will lure you deeper into its vaults and lead you ‘down where the spirit meets the bone’. 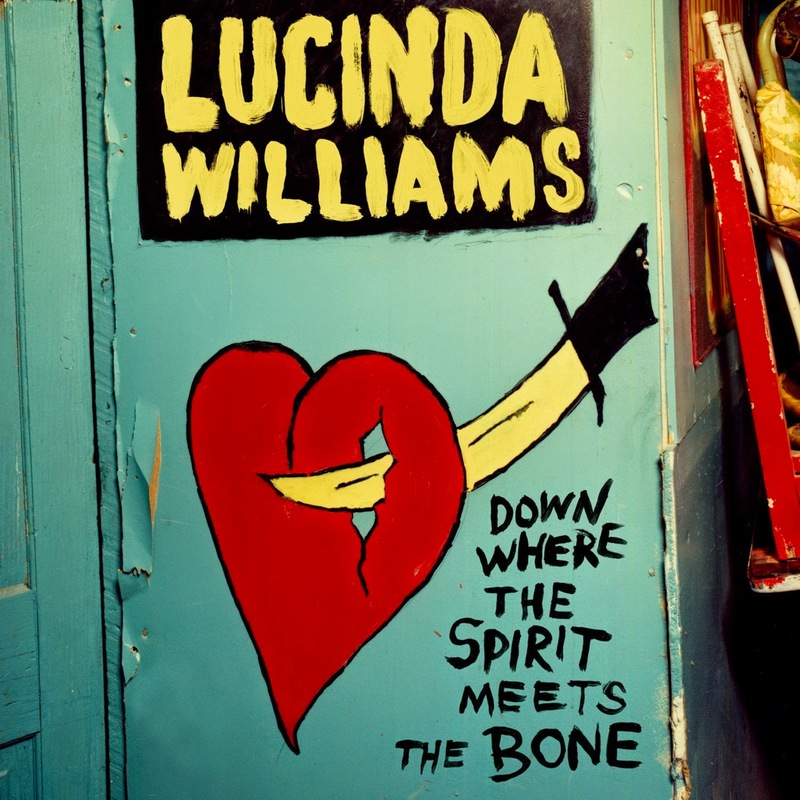 Don’t worry staunch Lucinda Williams’ fans, the legacy of CAR WHEELS….. is still intact but we will certainly be talking about DOWN WHERE THE SPIRIT MEETS THE BONE in years to come. Savouring the delights of this magnificent piece of work comes with the highest recommendation and cements Lucinda Williams as an Americana artist of the highest pedigree.